International students wishing to study journalism are in luck—the US is rife with top schools for journalism spread throughout the country. The hard part is finding "the best" journalism school (or, j-school) out there. The journalism community has a general consensus on what they consider the best schools for journalism, but it's ranking them that are the hard part. You can find the top ranked law or business school in the country, but j-school rankings are nearly non-existent. How do you measure a degree in journalism? By the success of a journalism school's graduates? Or by the merits of each university's program—and what exactly does that consist of? One method is looking for an accredited j-school by an organization such as the Accrediting Council on Education in Journalism and Mass Communications (ACEJMC). Their last list was published in January 2012 and includes 109 accredited schools in the US, including one in Chile. According to the ACEJMC, school accreditation "is a measure of the program's compliance with basic standards and of how well the program achieves its stated mission." But there are more than 400 US schools with journalism programs, and their list is by no means perfect. They do not rank schools, nor do they automatically review every journalism program in the country. Accreditation by the ACEJMC is voluntary. Another method is finding out what the journalism industry consider as their top schools. As international students, you may find your search overwhelming. There are countless schools but no official j-school rankings system. Fortunately, there is some consensus among the industry about what are considered the top schools for journalism. On a side note: International students not familiar with the US educational system should keep in mind that a Bachelor's takes four years. Applicants must have their Bachelor's (or Bachelor's equivalent) in any major to apply for a journalism Master's degree program, which, on average, takes two years. 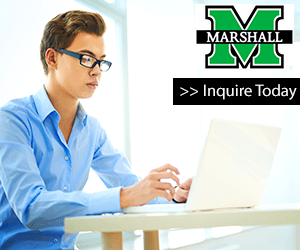 You must have a master's to enroll in a doctoral degree program. Again, it's not necessary to have a bachelor's or master's degree specifically in journalism, but universities will expect applicants to have real-world journalism experience. Founded in 1921 and situated in the mid-west, just outside of Chicago, is Northwestern University's Medill School of Journalism. Setting aside it's renowned j-school (you can count more than 30 Pulitzer Prize winners as part of Northwestern's alumni), the university as a whole is ranked #12 in U.S. News and World Reports Best Colleges 2012 rankings for national universities. Northwestern works on an academic quarter system. Students are expected to take four courses per quarter, for four quarters every academic year. An undergraduate degree is completed in four years. Graduate degrees in journalism vary from 8 months to one year. Undergraduate students work towards earning a Bachelor's of Science in Journalism. Three-quarters of their classes are taken outside the journalism school in general liberal arts courses. In addition, first-year students (i.e. freshmen) take courses in general journalism basics spanning all media platforms. Second year students, or sophomores, enter Chicago neighborhoods reporting on real-world events. By the third or fourth year (junior and senior year) students spend a quarter interning at a television station, magazine or newspaper through Northwestern's Journalism Residency Program. As a graduate student at one of the top schools for journalism, students are given the unique opportunity to work in Northwestern's Chicago and Washington D.C. newsrooms and file stories with multimedia news outlets. Degree programs include a Masters of Science in Journalism or a Master's Degree for Experienced Professionals (requiring 7 years of journalism experience). The University of Missouri, nicknamed Mizzou, hails itself as having the first and one of the best schools for journalism in the world established in 1908. The school also prides itself on the Missouri Method, which gives students practical hands-on experience to prepare them for the real world. A glaring example of this is the 10 professional organizations affiliated with the school giving students the opportunity to mingle with experienced journalists. Undergraduate students work towards a Bachelor of Journalism degree and specialize in one of 30 interest areas Mizzou offers. If that's not enough, the school also offers students the ability to develop their own interest area. Freshmen typically take general liberal arts and journalism core courses. Students declare their interest area in their sophomore or junior year, and finish their four-year degree in classes related to their interest area. Mizzou also offers two different paths to a master's degree: a traditional two-year program attending classes on campus or an online master's degree. Students earning their master's online must have three years journalism experience, but have the freedom to continue working fulltime while taking one to two classes per semester and during the summer. Students typically finish their degree in three to four years. In addition, Missouri offers a doctor of philosophy in journalism degree. The first of which was awarded in 1934. The program takes 3 years. Many, but not all, doctoral graduates seek employment as deans, professors, and faculty after completion of their degree. Learn more about studying journalism in the USA by reading our growing article collection. « Study Guide by Subject	« Study Journalism in the U.S.